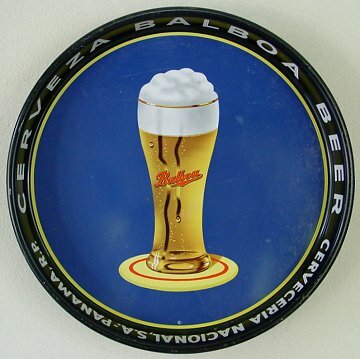 "Cerveceria Nacional, S.A. - Panama, R.P." Panama Comments: Only tray I have ever seen from Panama. I am betting many U.S. and Mexican beers are the staples for the Panamanians. With that great canal running through their country, I guess they could get just about any beer from any where in the world. A sharp simple tray.